The newest trend among campers is known as glamping, or glamour camping, which allows guests to enjoy all the best things of camping in comfort and convenience. 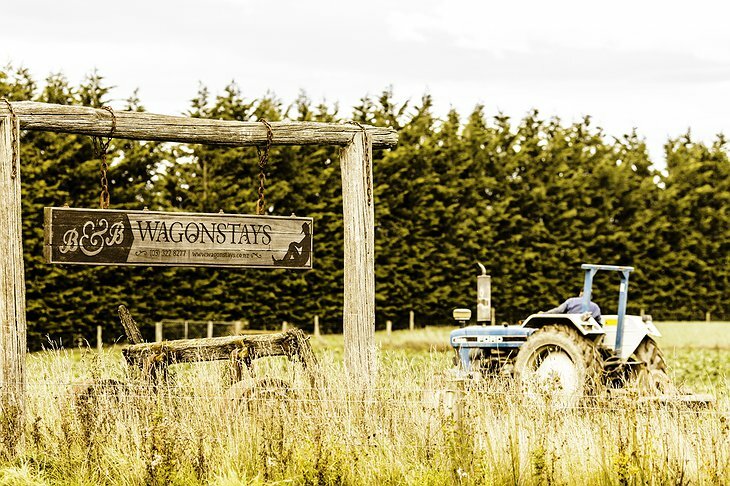 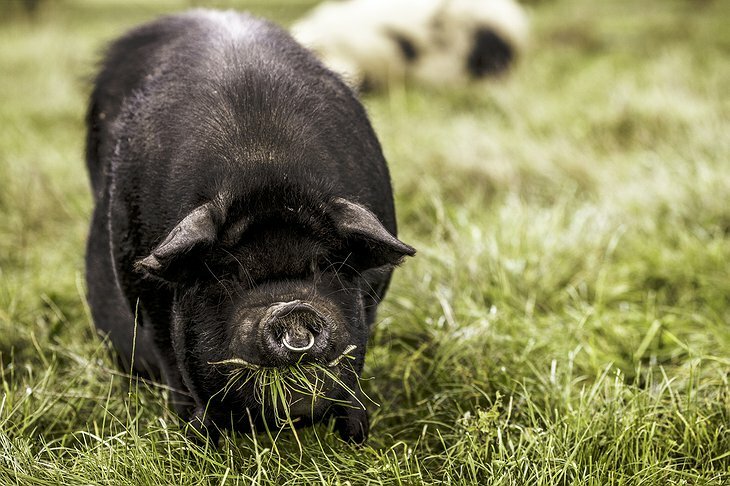 WagonStays is one such option for travelers spending their holiday near Christchurch; only 30 minutes away, this luxury campsite is set on a remote corner of farmland in the Selwyn district. 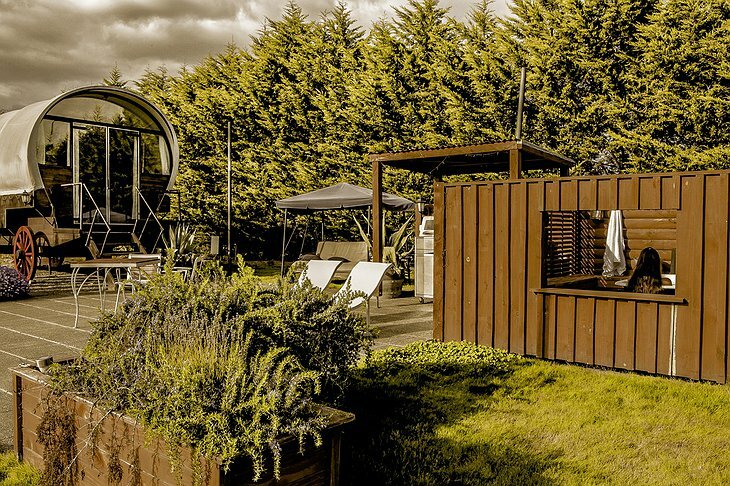 You are completely surrounded by natural beauty, yet you still have access to comfortable beds, hot water, and clean bathroom facilities. 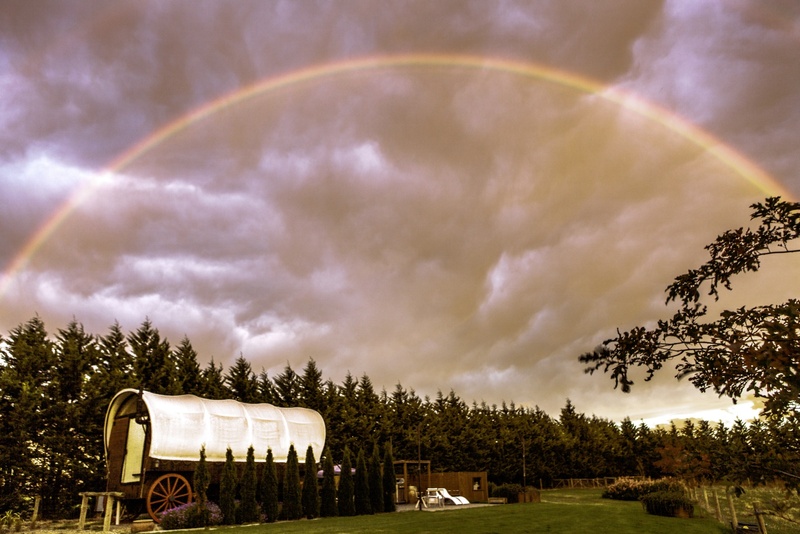 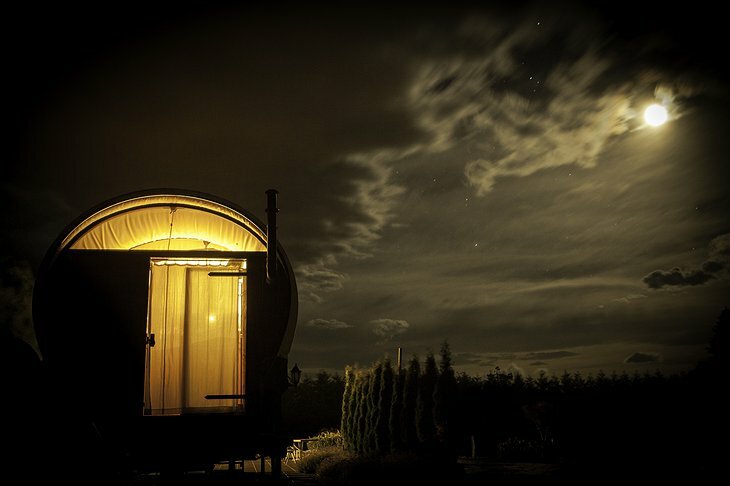 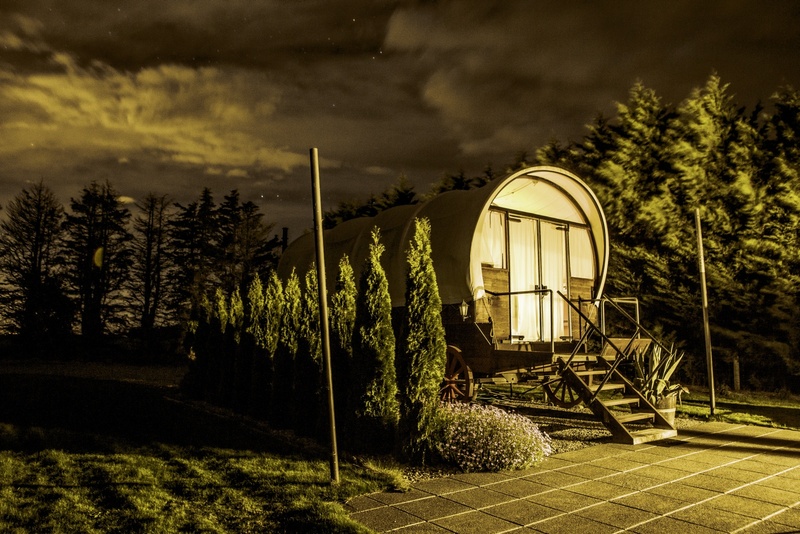 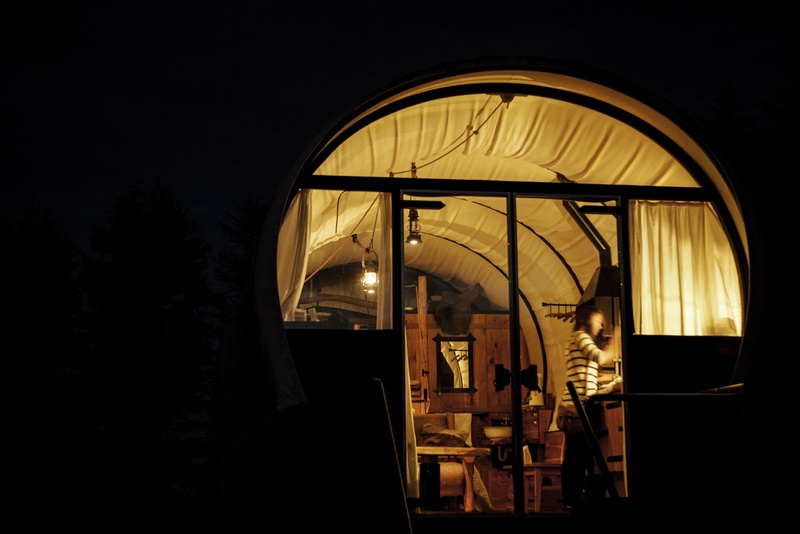 WagonStays offers a themed glamping experience, transporting you back to the American west. 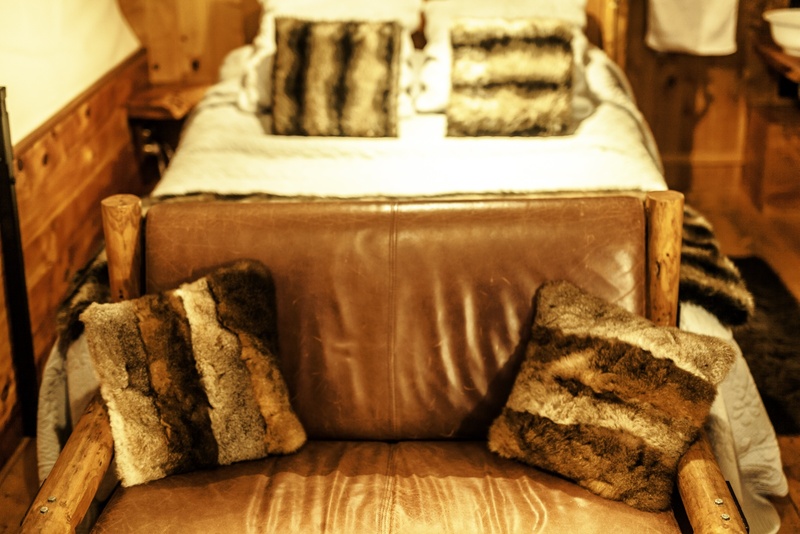 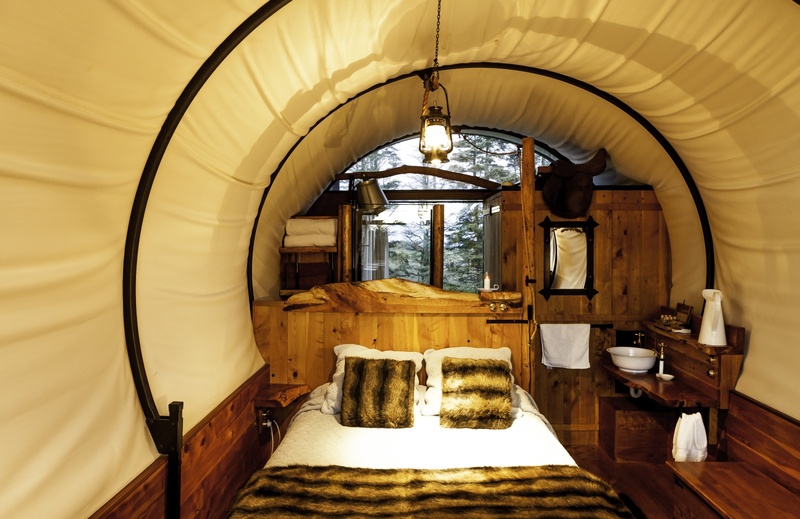 Each “room” is a recreation of the original Conestoga wagons, complete with timber interiors and a canvas canopy. 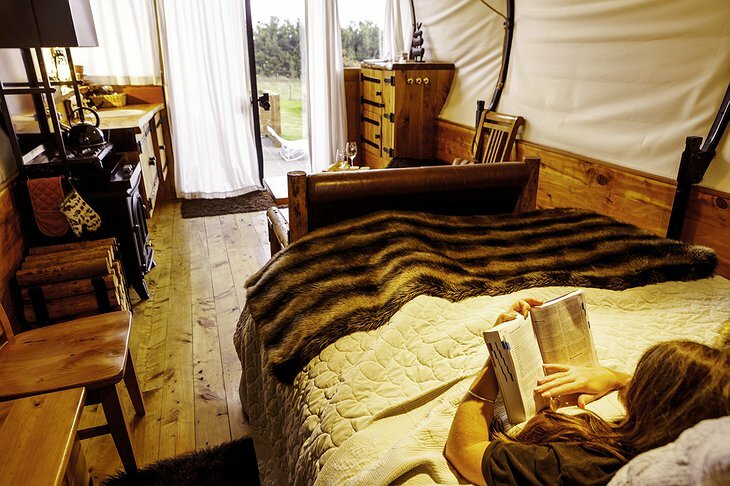 Although it looks like an authentic covered wagon from the outside, the interior offers modern luxuries including a queen sized bed, a leather sofa, luxury linens, and a wood stove. As you unwind in the countryside, you can prepare your own food in the outdoor facilities or on the gas stove top inside your wagon. If you prefer to purchase your meals, the owner offers continental breakfast and country meals on site, or you can visit the nearby winery for a night out. 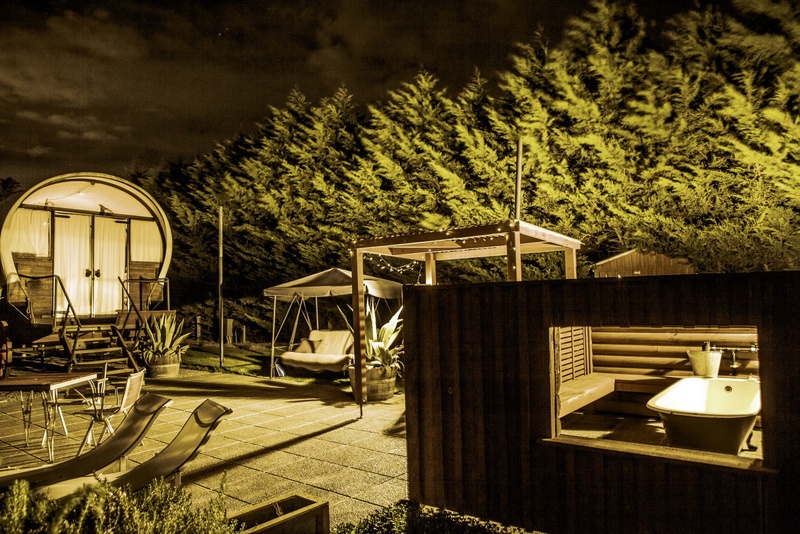 Beyond the rooms, guests can relax in the outdoor patio area or the claw-footed tub. 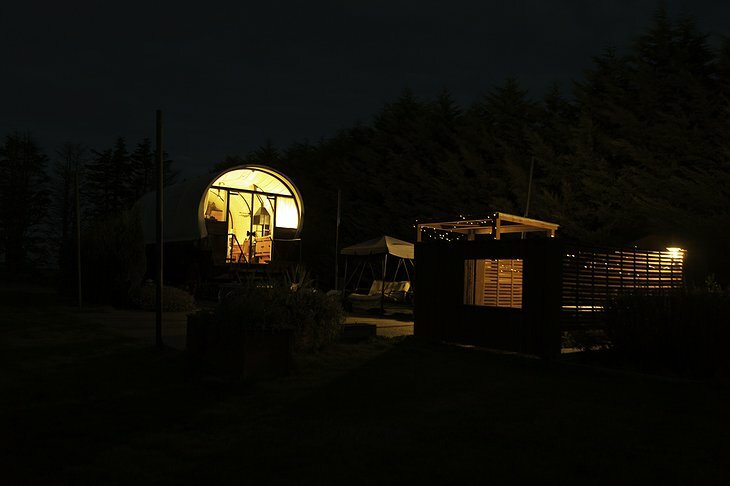 If you venture outside the campsite, you can explore the old Courtenay School or head to the Waimakariri River for some fishing, swimming, and hiking. 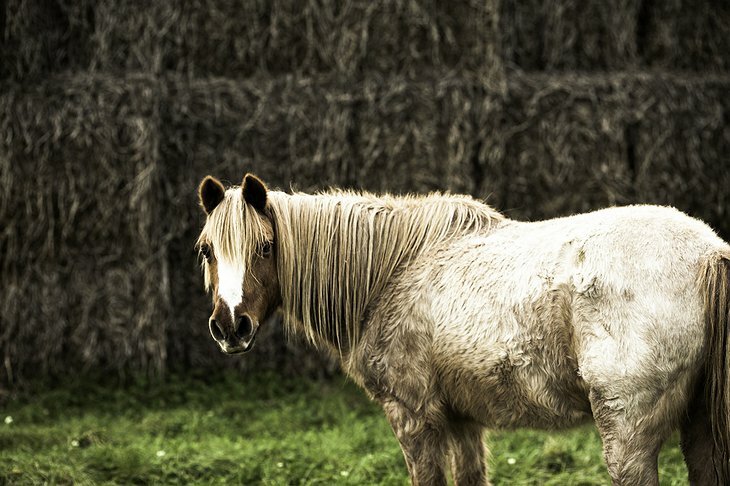 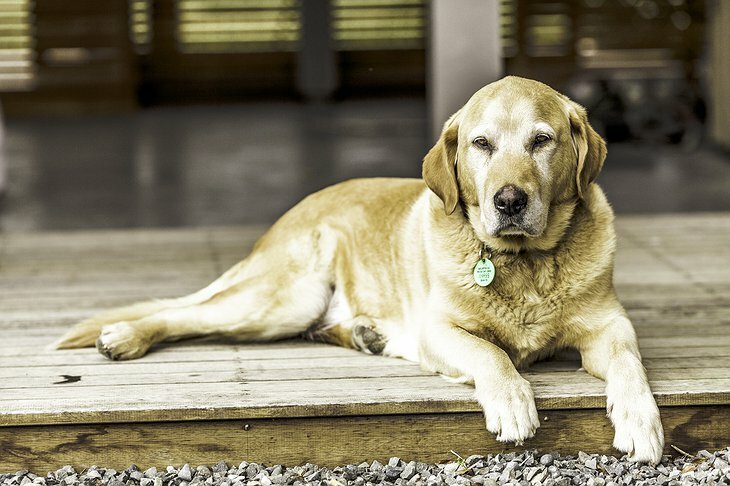 WagonStays provides the perfect setting to take in the fresh country air and disconnect from your daily life.